It will soon be a year since I wrote the first of a series of articles about the horrific genocide being perpetrated by the state of South Dakota against Native Americans. Incredibly, the genocide – the abduction and kidnapping of Indian children by state officials – continues unabated. This is beyond maddening. 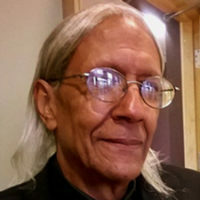 Lakota People’s Law Project chief counsel Danny Sheehan recently told this journalist that South Dakota has not slowed down its illegal activities because to do so would be an admission of guilt. 1. Over 700 American Indian children were being snatched from their homes by state officials every year. This occurred on a daily basis. 2. These hundreds were sent to white foster homes or group homes. 3. Most were adopted by white families. 4. Native children were 13.8 percent of the state’s child population, yet they represented 56.3 percent of the foster care population. 5. 87 percent were placed in white foster homes, while Indian foster homes went empty. Nothing has changed! All of the above cited statistics are still current. The genocide train roars full speed down the tracks. South Dakota is still committing brutal genocide against the Lakota people in violation of subsection (e) Article 2 of the Convention on Genocide, and is still in gross violation of the Indian Child Welfare Act (ICWA) of 1978. The Lakota People’s Law Project has filed a lawsuit challenging South Dakota’s actions. The federal government is attempting to settle a part of the lawsuit administratively by transferring federal funds for child care from South Dakota to the tribal governments of the state. Subsequently, there would an alternative lawsuit to locate the abducted children and have them returned to their families and to hold responsible state officials who put in place the hated abduction program. There has been no action taken by the United Nations as a result of the meeting by UN Human Rights Officer Giorgia Passerelli at the Pine Ridge Reservation with tribal representatives and the families of the abducted children in August last year. Calls by this journalist to Passerelli have never been returned. The reign of genocide marches on! The racist power of South Dakota must be broken!